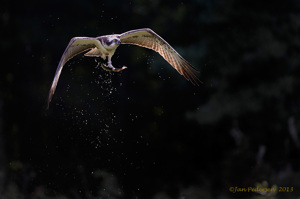 Osprey in backlight. A difficult light to master. rom Finland a few days ago.